Yes, yes, yes! I love it when recycling does not compromise on style and these garden lanterns just do it for me every time. A whole host of other delights await you at the fabulous website Hen & Hammock. These tin-top lights will create an atmospheric environment for your garden space. A really cheap alternative to garden lighting, they provide a beautiful ascetic solution for night-time alfresco entertaining. 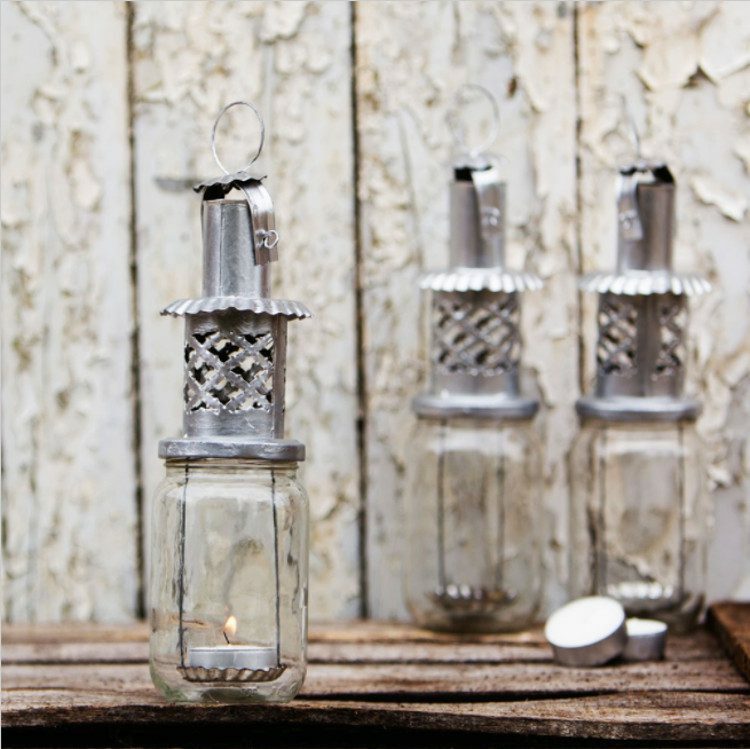 Made in Morocco, they are suitable for indoors and out, and simply allow you to screw the top to an old jam jar and create a lantern. Of course, this is not a new idea. People have been adding candles to glassware to create the garden lantern for years. But, to increase the ascetic appeal, these are a real bobby-dazzler. String some together for maximum impact and hang from a garden climber or overhanging branch. Bang on.